Kurdish superstar Dashni Morad is ready to take the rest of the world by storm with her tropical hit “Love Wins”. The ‘Shakira of Kurdistan’, as Dashni has been referred to, has been dropping hits over the Middle East for a few years now. But none of this came easily to Dashni, who tragically spent several years living in fear in Saddam Hussein‘s Iraq before becoming the face of hit TV show Without Borders. This grievous upbringing transformed Dashni Morad into the resilient freedom fighter she is today, and also brought her closer to the charity Green Kids. Green Kids has donated over 200,000 books to underprivileged schools across war-torn Iraqi Kurdistan, and 2017 sees Dashni launching her first UK Green Kids project. “Love Wins” is Dashni‘s uplifting and bright response to all of the pain and suffering she has seen in her country. “Love Wins” is instantly catchy, and the inspiriting tropical sound and lyrics will surely keep listeners hooked. Dashni‘s first album, a collection of tracks about “being in love”, was condemned to the point that a call for her execution was made. “Mullahs (who enforce Muslim law)… said I should be hanged with a rope of fire. Imagine how scary that is,” the 31 year old distressingly revealed. It comes as no coincidence then, that Dashni passionately belts out “love wins, every time” over the uplifting chorus of “Love Wins”, a response to all of that hate. 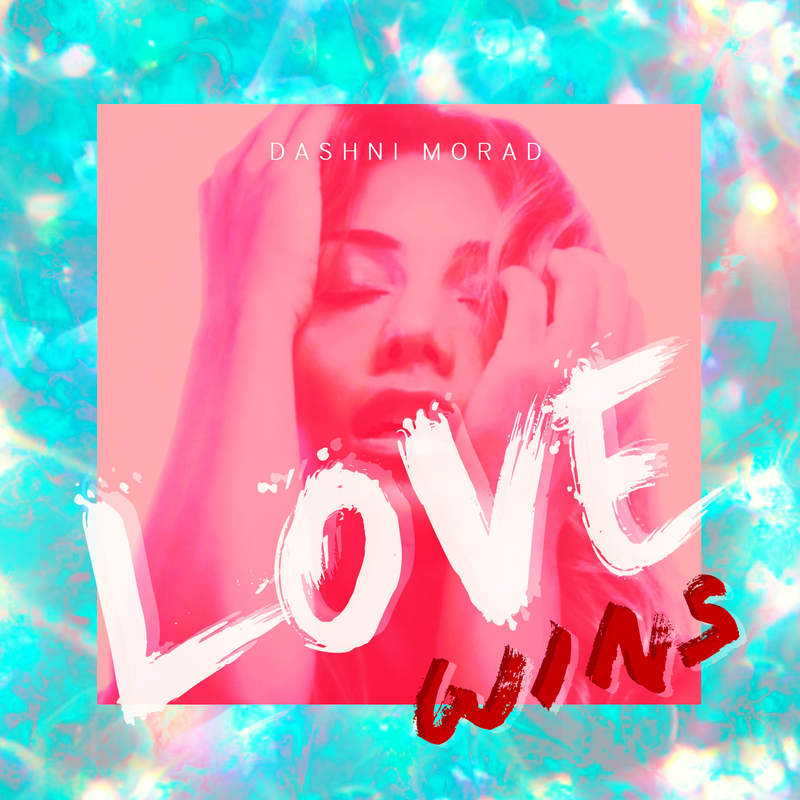 Stream or buy “Love Wins” by Dashni Morad. Proceeds from the single’s sales will be donated to Green Kids. Next Post Next post: Brave Girls Flopped – AGAIN!